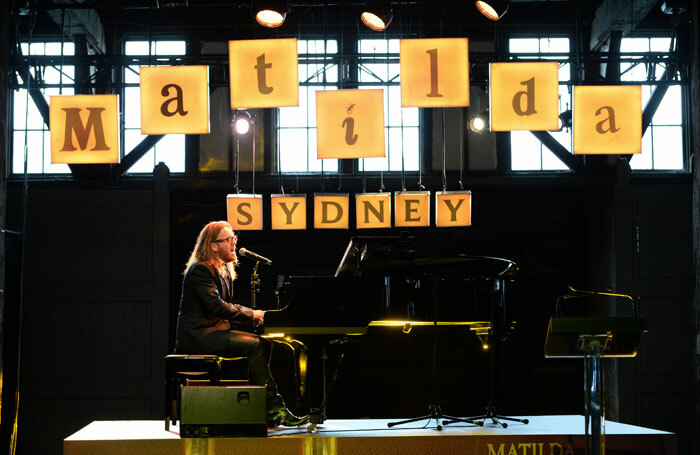 On Tuesday 14 October 2014 Sydney’s media gathered at Pier 2/3 at Walsh Bay to witness a special performance by Tim Minchin to announce tickets going on sale for Matilda The Musical. 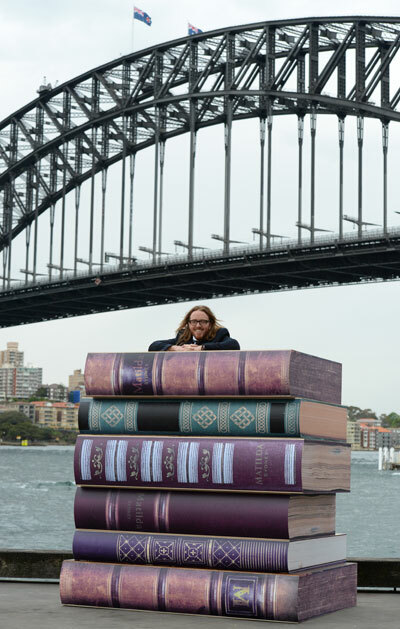 Everyone in attendance was treated to a special performance of both “Quiet” and “When I Grow Up” performed by Tim Minchin on a grand piano atop a pile of giant books. Tim said that he and Dennis Kelly became aware that there were “..rules to writing musicals. 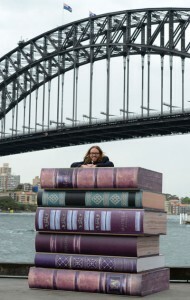 Matilda the Musical was writing in complete ignorance to these rules, well almost. The ones that Dennis and I were aware of were assiduously ignored”. 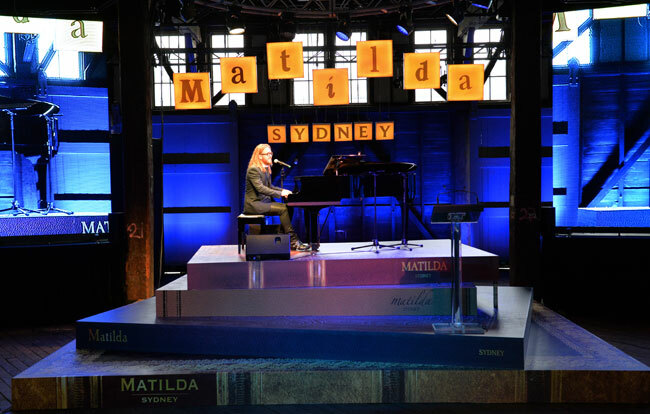 Also in attendance was International Executive Producer André Ptaszynski who told the audience that “Matilda has a story to tell that says something about our world, but it does it in a way that is shamelessly entertaining, moving and very very funny”. 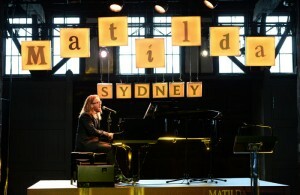 NSW Deputy Premier Andrew Stoner told the media that “Matilda has been secured exclusively for Sydney by the NSW Government and Destination New South Wales”. This unique and unforgettable production will play at the Sydney Lyric Theatre from July 2015. 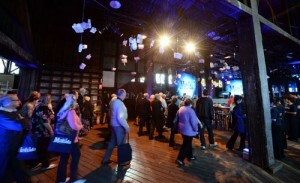 Tickets are on sale now at Ticketmaster.